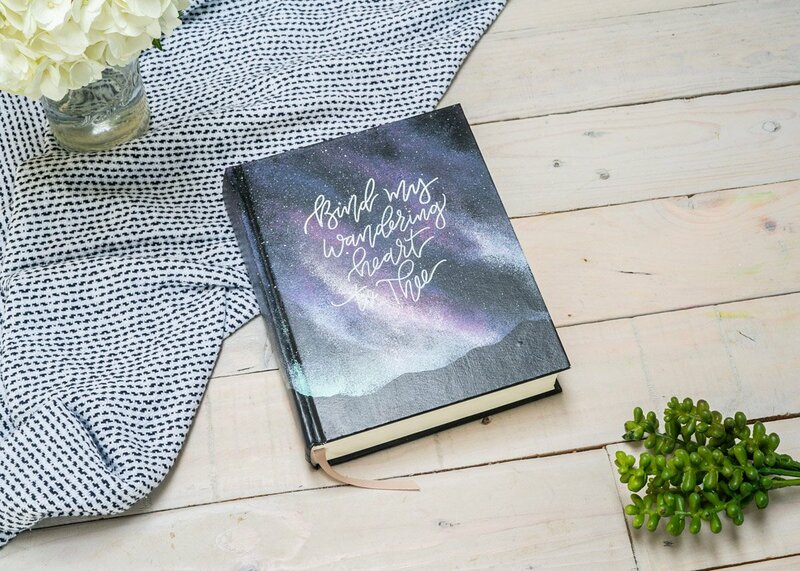 Do you know someone who would LOVE to have a hand-painted journal? But maybe you’re not so sure exactly what they’d like on it… Get them a gift certificate! Then they can tell me exactly what they’d like on their custom creation. This is for a FULLY CUSTOMIZED hardcover journal. They’ll get to choose the colors, style, wording – everything! They can get creative! We have many themes to start from, OR they can just share their own vision. Add a name or favorite verse or quote. 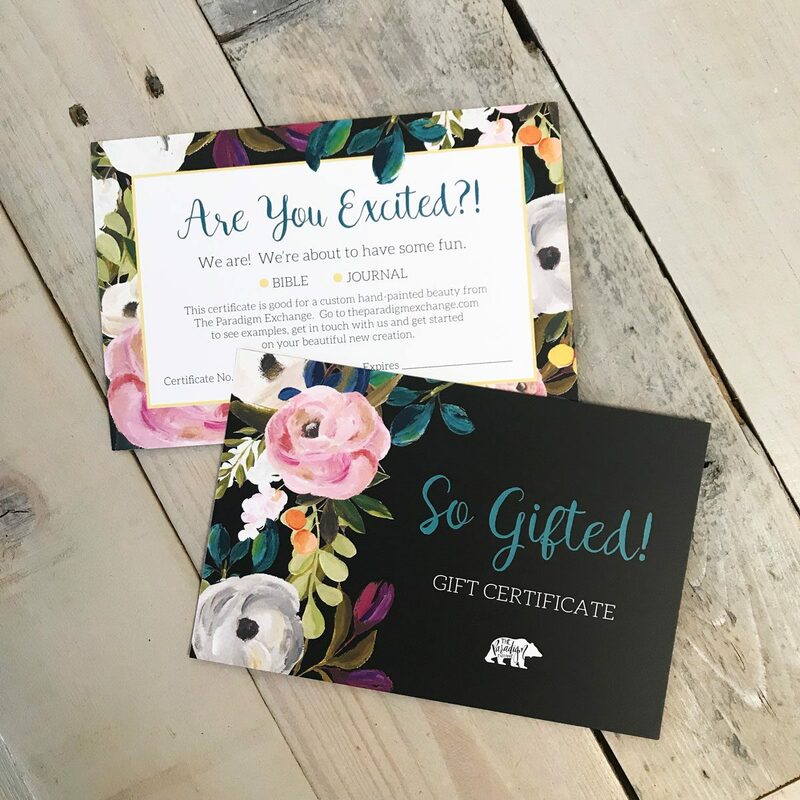 These gift certificates make perfect gifts – if we do say so ourselves! Christmas, birthday, anniversary, Mother’s Day, baby shower, wedding… The list goes on.